So, your powder or chew formula is perfected. It has the correct amount of specific nutraceuticals shown by the suppliers’ science to deliver specific benefits your consumers are seeking. And it also tastes scrumptious. Your brand name is pretty cool too and your marketing team is already working on crafty, strategic messaging. When considering what it will be housed in, put down that big, bulky plastic canister. Consider stand-up pouches. You are definitely seeing many of these in foods, such as candies, and rice products/side dishes. Consumers are responding favorably to products in stand-up pouches, of which there is a wide variety. For example, when shopping, products in stand-up pouches are much easier to manipulate and take up less room than bulky boxes. They also enhance freshness and product longevity, because the bag/pouch can be “burped,” as contents diminish. Further, the physical flexibility allows for consumers to tote it to the gym and work. Chews in plastic bags require a clip to seal, or the contents moved to plastic container, especially if the bag rips. Stand-up pouches are easy to open and re-seal. Your brand will also look appealingly fresh and cutting-edge, conveying sophistication and responsiveness to innovation. The print real estate is significant, allowing for brand dress and the Supplement Facts panel. Their structural design makes them easy for retailers to work with as well, and they are easy to work with when shelving and creating displays. Primarily, the use of laminated layers and bottom gussets allow for the product to stand upright, while also protecting contents. 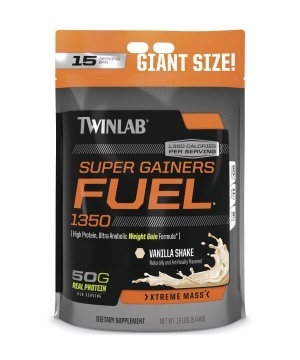 For supplement powders, there are several suitable and practical choices. Bottom-gusset pouch (sometimes called “K-style”): Stand-up pouches with bottom gussets feature a backwards “k” that allows more of your supplement powder to be contained near the bottom of the bag. Pressure on the sides of the pouch is reduced by a specially designed 30-degree angle, which also allows for increased volume as well as reduced risk of tears or puncture. This option works well for content weighing between one and five pounds. Doy (sometimes called “round-bottom”): Doy pouches are typically used for lighter products and are most suitable for contents that weigh less than one pound. The edge of the gusset is welded to the side of its supporting laminated layers, which increases strength and structural integrity. Due to gravity, most product settles on the bottom of its container, which may be problematic with a lighter-weight-volume product; but with the Doy gusset stand-up pouches, the package is shorter in height and therefore more durable. Flat or block (sometimes called “plow-bottom”): If you are going to manufacture protein powders or wrapped chews for the club market, and thus need to go big – five pounds or more – the flat- or block-bottom is a suitable choice. This design features layers of film laminated together to create a robust, durable package. Here, the weight of your product supports the pouch. Saving space, extending freshness, and increasing convenience for the consumer are top appeals for packaging in stand-up pouches.